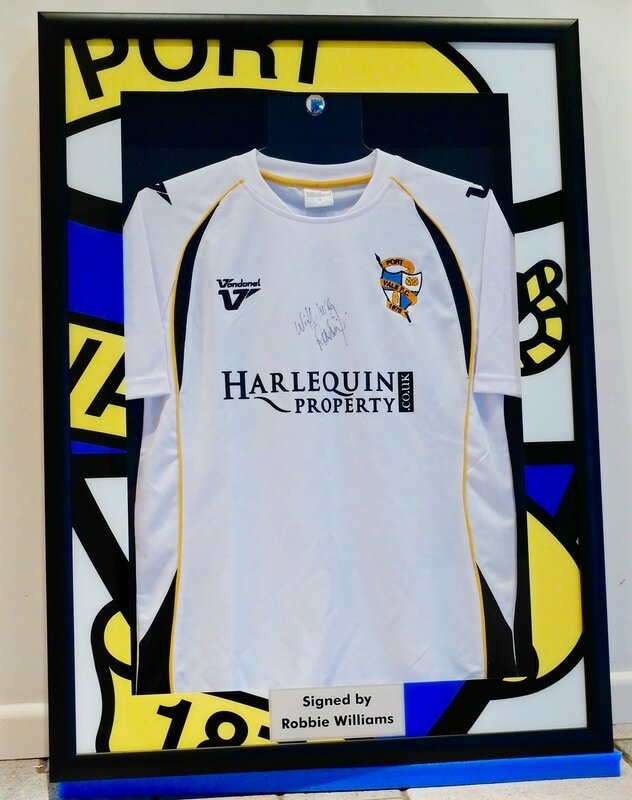 Port Vale shirt signed by Robbie Williams. Exhibit black deep frame, acrylic hanger and inPicture's unique border system. One of the greatest feelings for me as a framer and owner of inPicture, is the delight and happy smiles on the faces of our many customers on collection or delivery of their newly framed work. Whether they have been directly involved in the decision process of the frame build, or just left the design to inPicture, it is that part of the service that you know the care and quality approach has all been worth it. Needlecraft, Certificates, Newspapers and whatever your imagination can conjure up. How valuable and important to you is the item to be framed? At inPicture we will recommend and demonstrate conservational framing techniques which will help to prolong the condition and life of your framed item. Specialist Glass with UV inhibitors all help the harmful affect of light on your prized possessions, whilst the inert and acid free mount board and ancillary materials are used to good design and protective affect. Please hover over the 'Picture Framing' button at the top of this page to access more on the subject of Picture Framing.